Aloha, Welcome to ACE Medical Inc.
Mission Statement - ACE Medical Inc. is dedicated to providing the community with quality home health care equipment, supplies, and related services that maximize access and independence for each client, thereby improving the quality of life. Waipahu location - 94-910 Moloalo St. ACE Medical Inc. is a locally owned and operated home medical equipment supplier located in Waipahu. We aim to meet your home medical equipment needs. 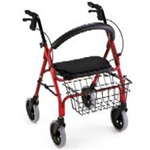 In store we carry a large selection of respiratory equipment, compression therapy supplies, wheelchairs, walkers, scooters, lift chairs, bath safety equipment and much more. If what you need is not in store or our Online Catalog, let us know and we will order it. ACE Medical Inc. is here to help you. Since we opened, our goal is to continue to serve every customer with a kind smile and quality service. Our staff of professionals have years of experience and receive ongoing training to bring you the best home medical equipment experience possible. Planning a vacation to Hawaii and need home medical equipment? We also offer short-term wheelchair and scooter rentals. Please contact us today and we will help you coordinate arrangements. Honolulu location - 2130 S. Beretania St. Preferred Provider for Tricare, Triwest, Tricare Overseas & Tricare for Life!